Easy Green is our newest maximum wear tape. It’s easy to work with, holds for two weeks plus, and removes easily so it won’t harm delicate lace systems. It is also the dullest tape we offer and is hypoallergenic. This is similar to our Lace Front Support (Blue) tape, but has a stiffer carrier, which makes it much easier to apply and remove. 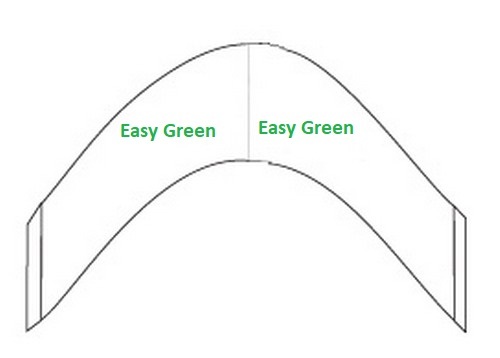 If you like blue, you are going to love Easy Green! Maximum wear (2-4+ weeks) tapes are the longest lasting tapes we make. Because they’re usually the most tacky, they require more skill to apply. Bond Braker should always be the first step in preparing for an install. Bond Breaker Shampoo breaks down the adhesives, scrubs the skin, and cleans the hair in one step.